The Commission to Investigate Allegations of Bribery or Corruption yesterday filed five corruption cases in the Colombo Chief Magistrate’s Court against Major Nevil Wanniarachchi, the ex-Chief Security Officer (CSO) of former President Mahinda Rajapaksa over non-declaration of assets and liabilities. The Bribery Commission alleged that Major Wanniarachchi had failed to declare his assets and liabilities for a period of five years since 2010 to 2014 while serving as an Army Major. When the case came up before Colombo Additional Magistrate Chandana Kalansuriya, Major Wanniarachchi was noticed to appear in Court on September 28. 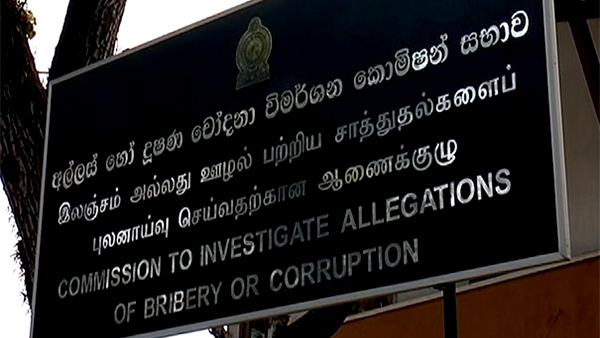 The Commission to Investigate Allegations of Bribery or Corruption had filed charges against the former Minister in the Colombo Chief Magistrate’s Court under Section 9 of the Declaration of Assets and Liabilities Law No.1 of 1975.